New Zealand prog rockers City Of Souls have released a new promo video for their new single Wolf. it's the band's first release since signing with Australian label Wild Things, home to fellow prog acts Caligula's Horse and Circles. 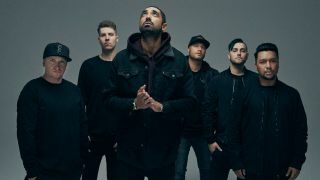 Wolf is taken from the band's forthcoming and as-yet untitled debut album recorded with producer Forrester Savell (COG, Karnivool, Dead Letter Circus). "We don’t want to ‘Be’ anything or adhere to a particular idea of what our sound should be," vocalist Richie Simpson tells Prog. "We simply want to create for the sake of creating and to leave something behind that I am proud of. The band will support UK prog metallers Monuments in New Zealand at the end of this month before heading to Australia to take part in this year's 10th Anniversary Progfest line-up.